Young girl receiving a "note of good fortune" for leaving a tip. Nice shot; these statue guys seem to be everywhere now. here we call them "living statues"; They disturb me.. I think the girl is disturbed too, between fear and joy.. I hope it was a big tip. She must be boiling in that heavy costume! Always a great place to shoot! Beautiful image. I love people watching at Fanueil Hall. Fun image. That is a cute picture. I guess people have to make a living . . . 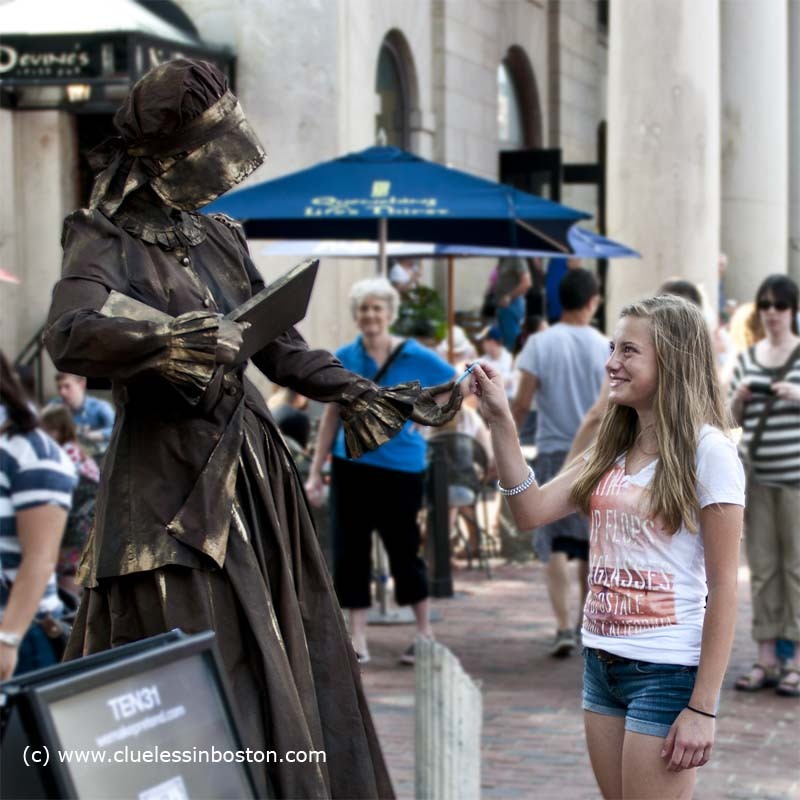 I always look for a "creative" way to show those living statues..
You found a perfect one.